I’m not ready to let summer go but the calendar says its time. Regardless of the fact, that summer is over today, my better half and I made plans to take a day trip to the beach again in the coming weeks. That relaxed feeling we get from the shore is unbelievable. You know some of the fun we have now is when we cruise up and down Coastal Highway and remember places we stayed with the kids each year or where they liked to eat. Maybe their favorite miniature golf course, shopping place or boardwalk game. I still look over at 65th street for the water slide that is no longer there. When I was out at the beach this year I had a flashback to when we used to sleep on the beach or in cars at night in my teen years, shower up at the outside faucet at a hotel or residence. Coming down with enough money to barely eat and for gas some visits. The only time I’m sleeping on the beach now is during the day. One visit when I was young, we had 12-14 guys sharing a room. Slept in shifts a good bit or on the beach. 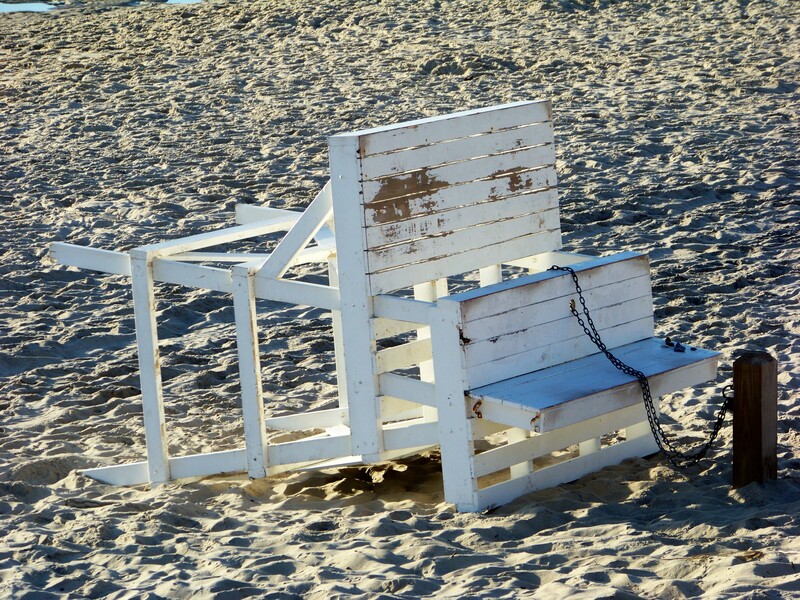 Lifeguard chair deactivated for the off-season. 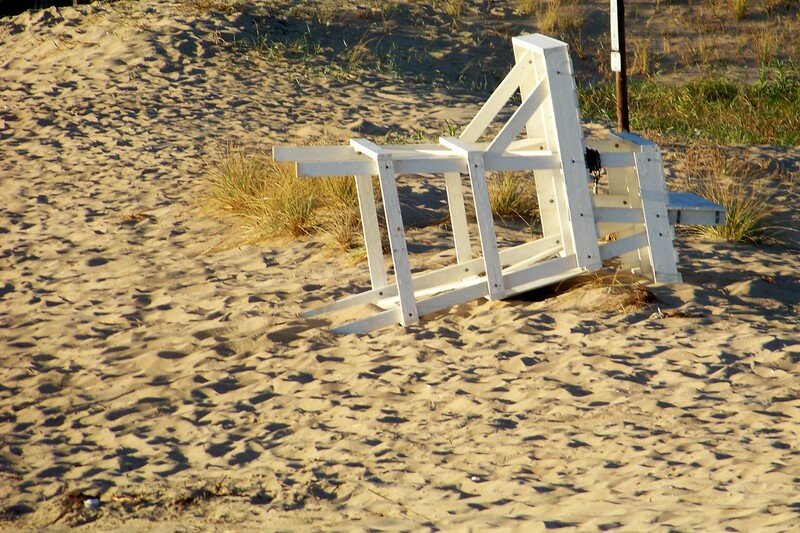 When I was younger we would pull lifeguard stands back towards the beach after they cleaned the sand and sit there watching and listening to waves for hours before beach patrol would chase us away. The breeze at night is cool. Sometimes the moon reflecting on the water was as bright as a sunrise. The light of a fishing boat on the horizon. The sight of other couples walking hand in hand or giggling on a blanket unaware of our presence or indifferent to it. Boy that was a long, long time ago. I’d probably get arrested now if I put one of the lifeguard stands back out. 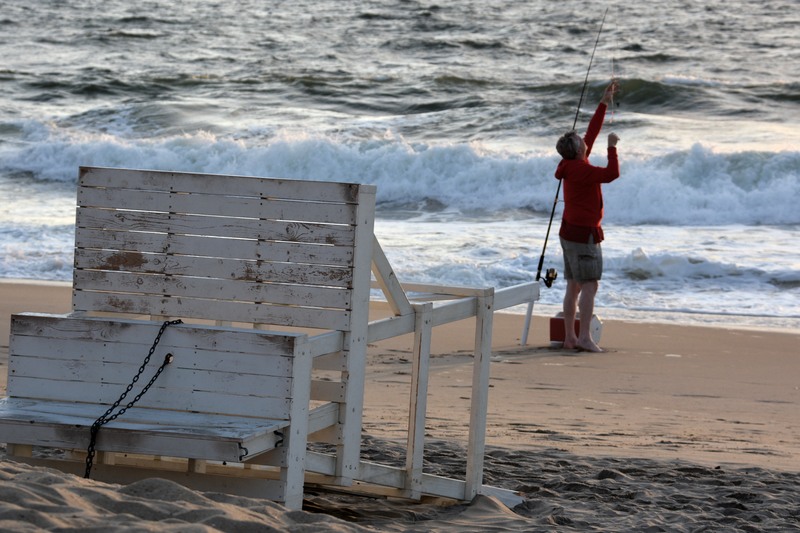 And I see they chain them down in Bethany Beach. So there goes that idea. Chair down till next Memorial Day weekend. I’d like to keep this vacation karma going, but I feel it fading each day with the task and responsibilities of life hammering away at me and I’m guessing by the end of the week it will be a memory as the second workweek begins. Hell maybe if I keep editing beach pictures I can sustain it a bit longer. 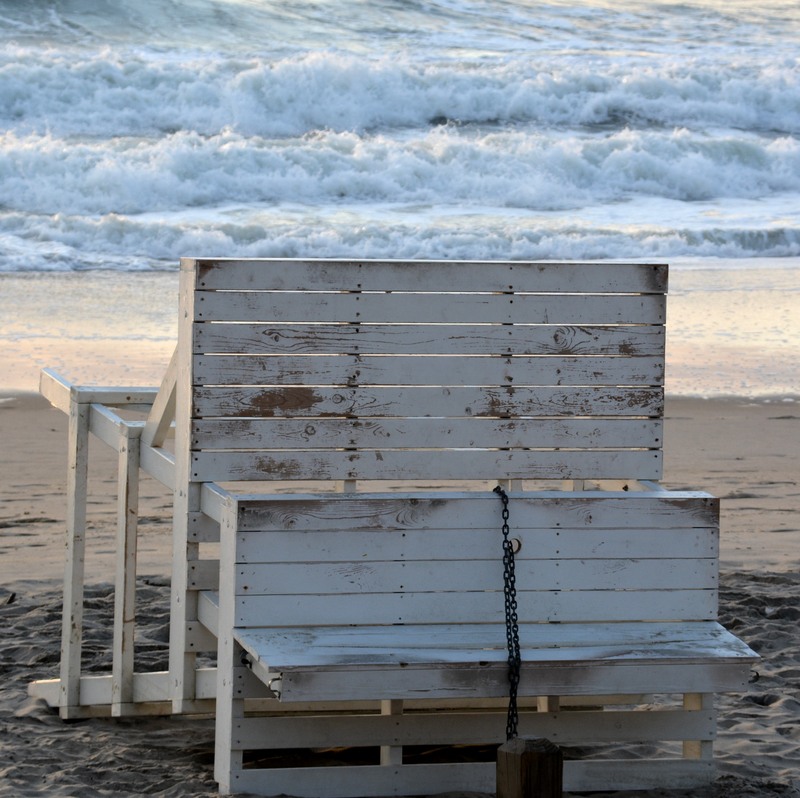 Longing for the company of a LifeGuard. If I feel better today I might be tempted to go get some new local shots and give you guys a break from the sand and waves. OK, if I can’t watch swimmers I’ll watch this guy fish. Thank you so much for the complement. And I hope its a beautiful winter for you. I’m going to make like a bear and hibernate.